Lovage is a great bitter leaf flavor; it contrasts incredibly well with the sweet veggie-sausage from the Field Roast brand. Just tossed it in olive and garlic butter after warming up the sausage and chives. 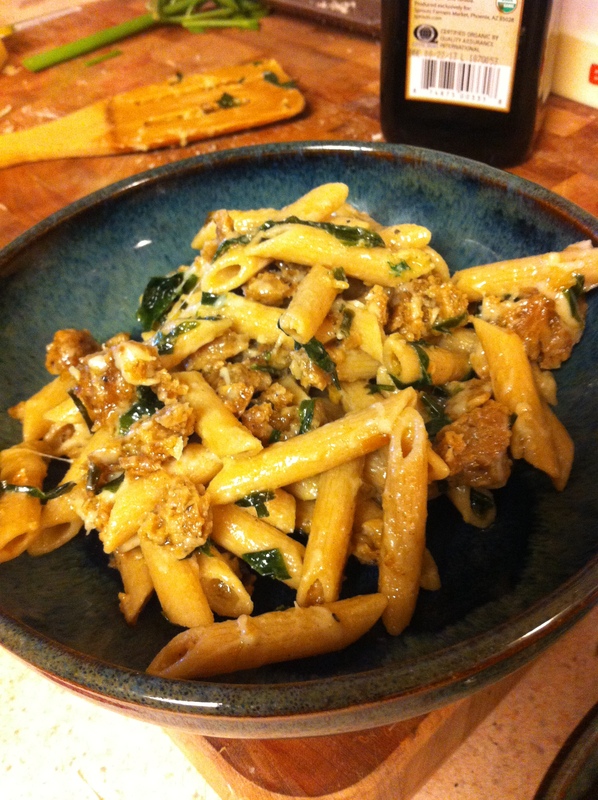 Finished the whole wheat pasta (didn’t have time to make my own tonight) in sausage lovage chive garlic butter and tossed with a healthy handful of grated Romano. Fantastic! The kids were asking for seconds. ETA: the picture didn’t post from mobile. Might have a setting that needs changed?